Improvisation (without the ‘Applied’ part) is a kind of theatre or music where performers make up the scenes or songs on the spot in front of the audience in real time. Applied Improvisation is the practise of applying and developing the same skills that actors or musicians use, but in contexts that are not linked to the stage. These are contexts like the workplace or in your personal life where the skills are equally important for success. (For the historic development and examples of Applied Improvisation see Wikipedia-article). That means, instead of learning to act on stage like the guys from ‘Whose line is it anyway’, , you learn to act with greater confidence, collaboration and innovativeness in your work or personal life. Next PostNext How does improvisation relate to the corporate world? We did it! SNE is now online. Whose bed can you hide under? 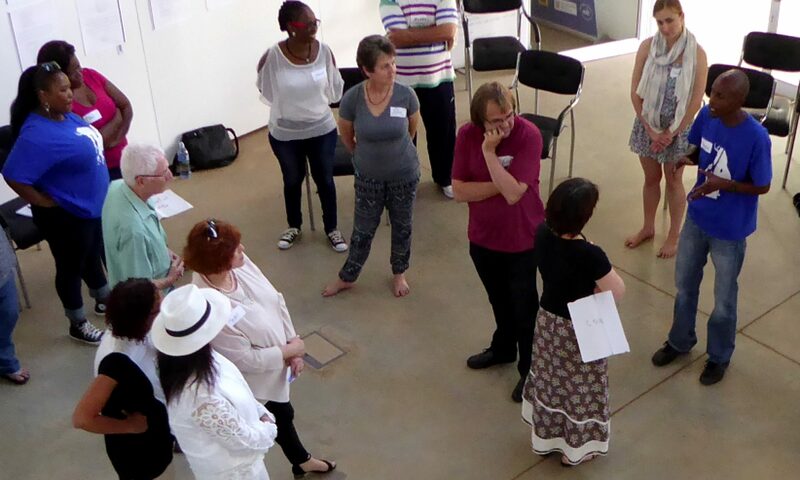 What happened to the SNE Essentials course for coaches and facilitators?